The UK weather makes outdoor photography rather eventful, as most people know lately it has been rain, rain and more rain! But as long as you don't mind getting a bit muddy there are usually breaks in the rain and then the sun suddenly comes out and a bit of blue sky might even appear. The trick is to work quickly before the next downpour sends you back inside! 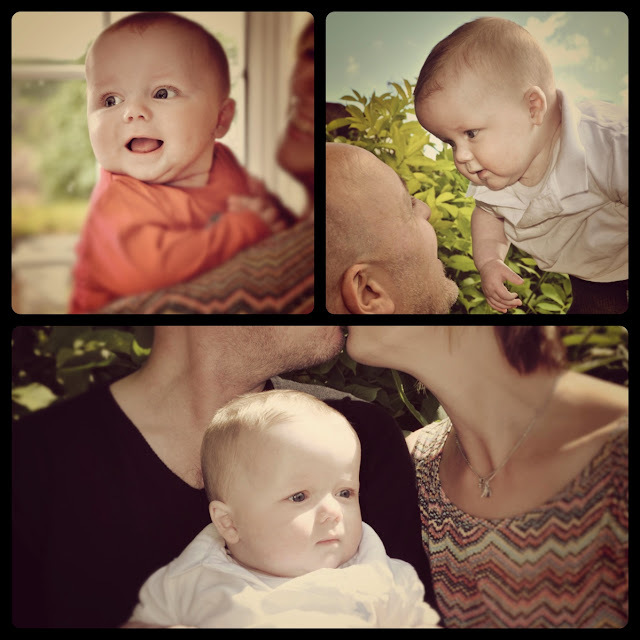 Here is a montage of a very lovely baby who performed beautifully for his first photo shoot, I love the muted colours of this set of photographs.